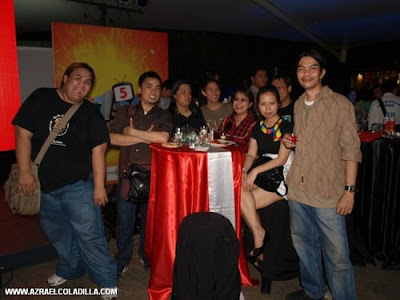 Being a member of TV5 Bloggers group, I attended its 1st Birthday party last friday, August 28, 2009 at the Glorietta 3 tent in makati. The program is already over when I arrived but I got the chance to meet some celebrities like Joaqui Tupas and Oyo Boy Sotto of Midnight DJ; Jon Avila of Shall We Dance; Christian Vasquez of Everybody Hapi, and a lot more. After that I just hanged out with fellow bloggers, and drink all night. The TV5 1st Birthday event is the first event that got me drunk since last year's Christmas party. Congratulations TV5 for your 1 year success. Keep up the good work and keep on shaking our TVs. 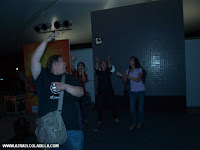 special thanks to Myk Cruz for making me part of the Bloggers group and to Azrael for some grabbed photos.